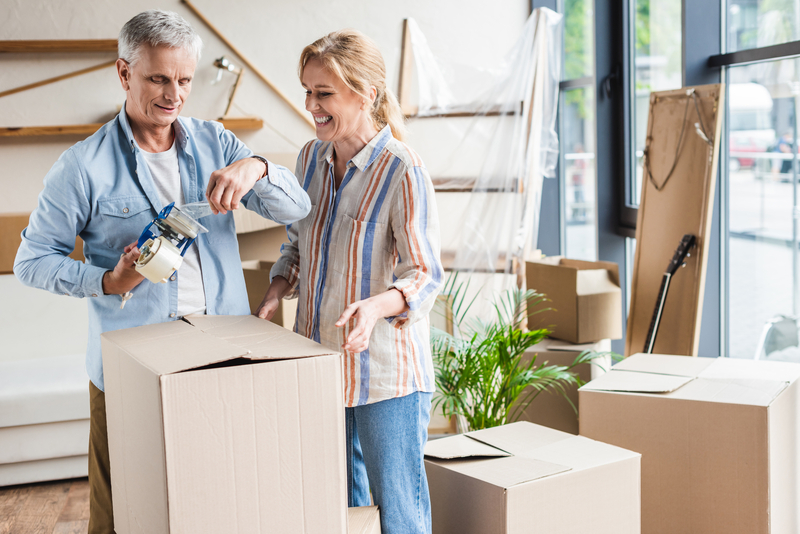 Whether your kids have recently moved out or you are preparing to venture into retirement, downsizing can be an excellent choice. Before you list your home, it’s important to take steps to ensure a smooth selling process. The following are some basic tips to help you get the most out of selling property and downsizing. Since you are downsizing, you might feel overwhelmed by the quantity of belongings in your home. This is why decluttering is a great place to start. Rent a storage unit to house personal belongings, extra furniture, and any personal decor that you will be taking to your new home. Go room by room and place other belongings into donation boxes. While cleaning out your home can be time consuming, you will feel ready to put your house on the market once you have it depersonalized and ready to stage. While you don’t need to pour money into completely modernizing your home, it’s important to make essential repairs when selling property. Check the plumbing, HVAC systems, and appliances to ensure that these systems are all working well. Make sure that your home’s exterior is free of chipped paint, sagging gutters, and peeling shingles. By getting all of these details in better condition, you can present the home proudly during inspections and home showings. While selling property, it can be tricky to find the right price. You want to list it high enough to show its worth but low enough to attract a stream of offers. By working with a real estate agent, you can find an appropriate listing price according to market value. They can also connect you with a professional appraiser to ensure that the price is fair. Once you find that ideal price point, you can worth with your agent to find the right buyer. You will likely schedule an open house or several home showings with your real estate agent. The right staging can often make or break an offer. Ensure that your home is depersonalized as much as possible and decorated in an inviting way. Declutter the tables, shelves, and counters, and remember to organize closets and cabinets as well. On the day of the showing light some candles and pop a batch of cookies in the oven to appeal to the senses. Your real estate agent can provide some other staging tricks to help your home stand out. Selling property in Evergreen, CO? The real estate professionals at Orson Hill Realty are here to list your home and find the right buyer. Their agents will work one-on-one with you to make this process as smooth as possible, using their deep knowledge of the local market. This team can also help buyers find their dream home, matching them to their ideal area. To learn more about their real estate services, visit them online or call (303) 835-9895.